A new email scam has been resulting in stolen personal and credit card information. 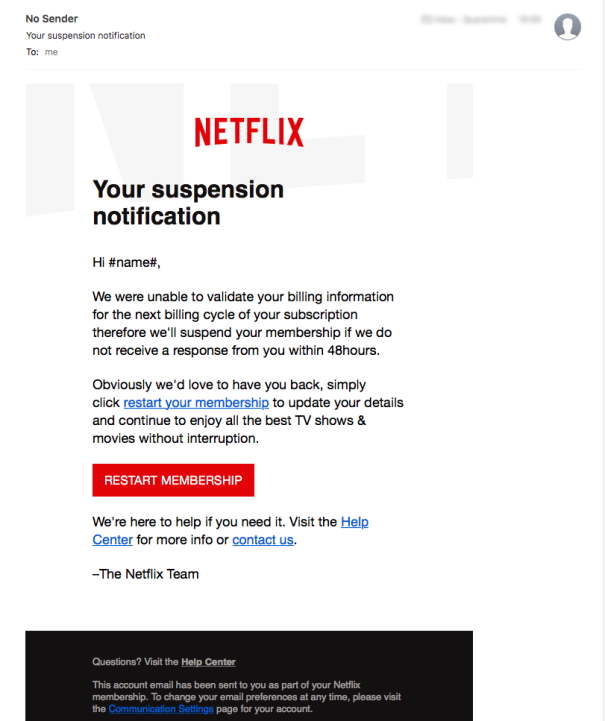 An email with the subject line “Your suspension notification” has been targeting Netflix subscribers. The email includes a link where the subscriber is taken to a fake Netflix page which requires their log-in information as well as credit card number. Do NOT do that. Ever. The email looks legit. The fake site includes Netflix’s logo as well as popular Netflix shows like The Crown and House of Cards.